A new version of qProf, a Quantum GIS plugin, allows the plotting of profiles by reading the track points stored inside a GPX file. This new tool complements the previous implementation of profile calculation (elevation and slope) from DEMs and line tracks. 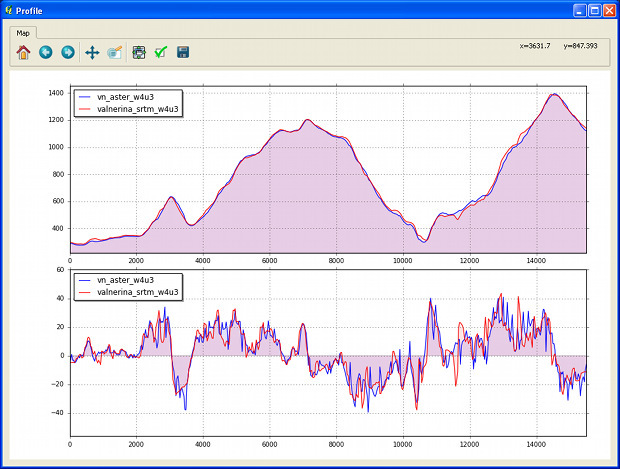 Screenshot for a GPX profile produced by qProf plugin v. 0.1.4. Upper window: elevations, lower w.: slopes. Data (implicit) courtesy of S. Peduzzi. 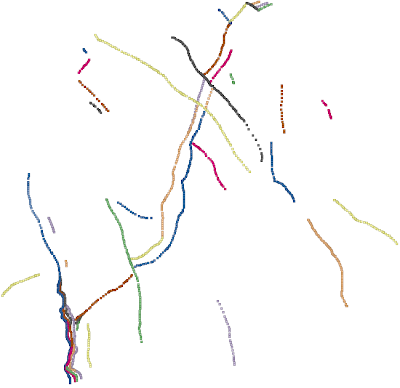 Data in source GPX file should contain point tracks, with point coordinates in latitude and longitude, plus elevation and time. Elevations are generally referred to the WGS84 datum, not to the orthometric height. The algorithm converts the latitude-longitude coordinates in ECEF Cartesian coordinates, avoiding the need for any planar, 2D projection. The 3D distances between consecutive track points are easily calculated, and with some trigonometry formulas, slope and 2D horizontal distances between points are then derived by assuming a vertical offset between consecutive points equal to the elevation differences derived from the GPX file. 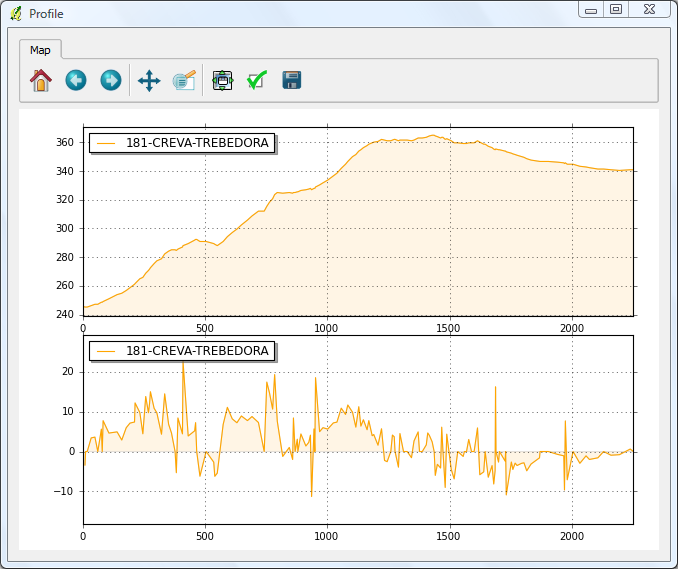 The resulting profile can be saved as .csv files, 2D point shapefiles, or as 3D line shapefiles. This plugin can be easily installed using the QGis plugin manager, or by downloading it from the QGis plugin repository and extracting it into your personal Python plugin folder.